If you want to be more informed about global issues and want to make small, easy changes with massive global impacts, these documentaries are a must-watch. Few people realize how interconnected our daily food choices are with so many of the planets most pressing issues: climate change, water scarcity, water pollution, deforestation, species extinction, human rights abuses, animal welfare, public health, and even world hunger are linked to meat and dairy consumption in Westernized nations. Learn how these are interconnected by watching the documentaries listed below. When we talk about climate change and the importance of conserving water, we are often told to drive less or take shorter showers, but many of us are unaware that the production of meat and dairy is a large contributor to many of the planets most pressing environmental issues. For example, one gallon of milk uses 27 showers worth of water to produce. Or alternatively, if everyone in the US ate no meat or cheese just one day a week, it would have the same impact as driving 91 billion miles less or taking 7.6 million cars off of US roads for good. 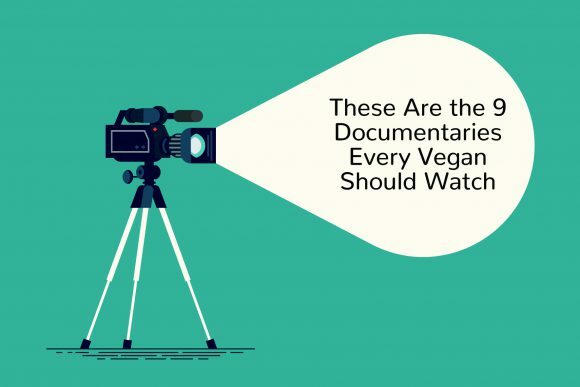 Luckily, the following documentaries can teach us everything we need to know about easy changes we can make in our daily lives to have a real, meaningful impact. Learn about the ways in which human behavior is the driving force behind our planet going into its 6th mass extinction and what we can do to help. In this visually stunning film, Leonardo DiCaprio addresses the driving forces behind our planets most serious threat. Cowspiracy educates viewers about the largest threat facing our planet and why no one is talking about it. The philosopher, Jeremy Bentham said, “The question is not, ‘Can they reason?’, nor, ‘Can they talk?’ but, ‘Can they suffer?’ Why should the law refuse its protection to any sensitive being?” When we think about animals in this context and the research that has gone into animal intelligence, it can really be thought-provoking. 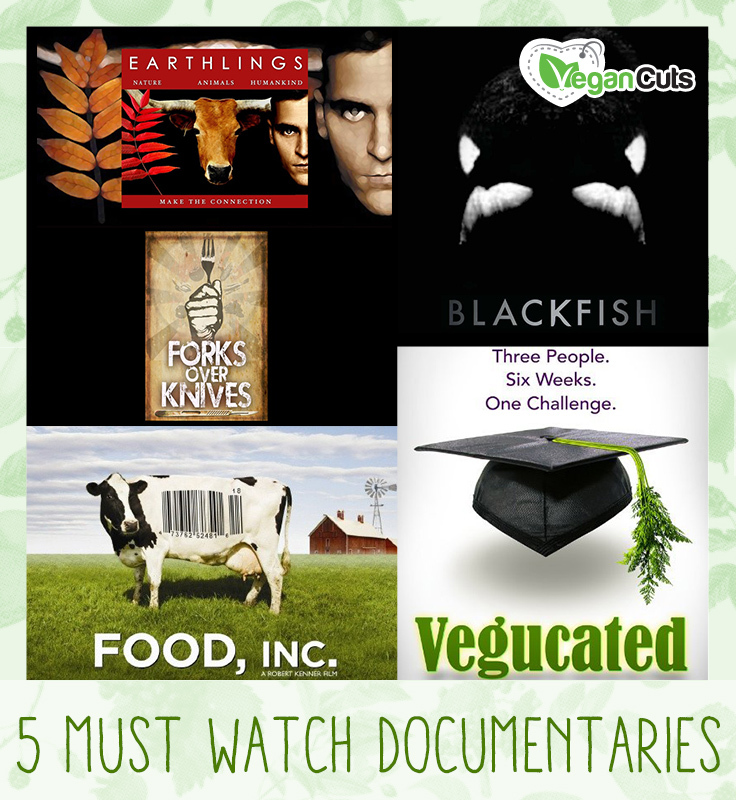 These documentaries on animal rights are sure to get you thinking about the ethical treatment of animals and how we can help the well-being of animals. This deeply thought-provoking film explores the idea of speciesism; the idea that no animal is more important than another, despite our many assumptions. Factory farms aren’t the only places where animals are suffering. This documentary educates viewers about the many industries that profit off of using and abusing animals around the world. This visually stunning film highlights the lives of individual animals trapped in our current societal model that profits off of animal exploitation. The first question many vegans are asked is “where do you get your protein?”. This documentary dispels the myth that we need meat to be strong and fit by highlighting vegan athletes around the world. There are so many misconceptions about nutrition. Forks Over Knives helps viewers gain a new and deeper understanding of what it means to eat a healthy diet. There are so many powerful political forces that often dissuade us from knowing the truth, particularly when it comes to our own health. This documentary lifts the veil. Thanks in large part to the popularity of documentaries like these, things are changing for the better; education and awareness are powerful catalysts for change. As consumers learn more about the devastating effects of factory farming, they are pushing the food industry towards a more sustainable, healthy and humane system one delicious meal at a time. Thanks to the power of our dollar, the U.S. Plant-Based Foods Industry topped $5 Billion in annual sales in 2017 and the Dairy Alternative Market is anticipated to cross USD 34 Billion by 2020; even the meat industry itself recognizes this trend. Tyson, the largest meat producer in the US invested 55 million dollars into a plant-based protein company called Beyond Meat. Cargill, another major meat producer, sold off the last of its cattle feedlots because they wanted to free up funds to invest into plant-based proteins. We steer the food industry with every single purchase and luckily, it seems as though we are choosing to drive it in the right direction. Activism comes in all forms—from leafletting to peaceful protests to holding a vegan bake sale to volunteering at a local animal sanctuary. Each and every choice to be a voice for animals is a worthwhile one, but perhaps one of the most fun and engaging ways to spread the vegan message is through video. 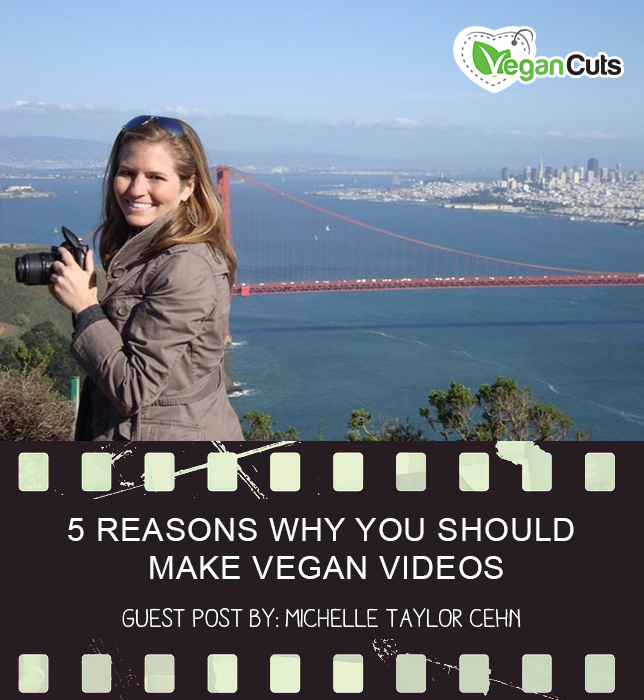 Here, Michelle Taylor Cehn, author of the blog VeganBreak.com and curator of the February Vegan Cuts Snack Box, shares her top 5 reasons for making vegan videos. Perhaps you’ve envisioned your ideal wedding for years. Or, perhaps you’ve never given it much thought. Either way, planning a wedding, especially a vegan one, can appear incredibly daunting. 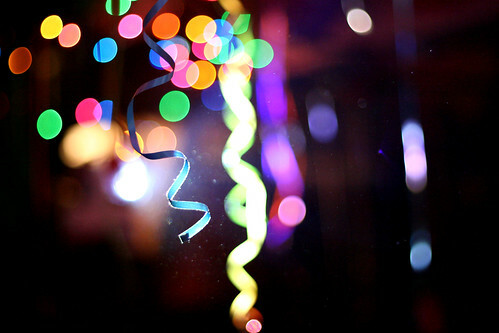 After all, there’s a lot to consider – what to wear, makeup, food, the venue… The list goes on and on. 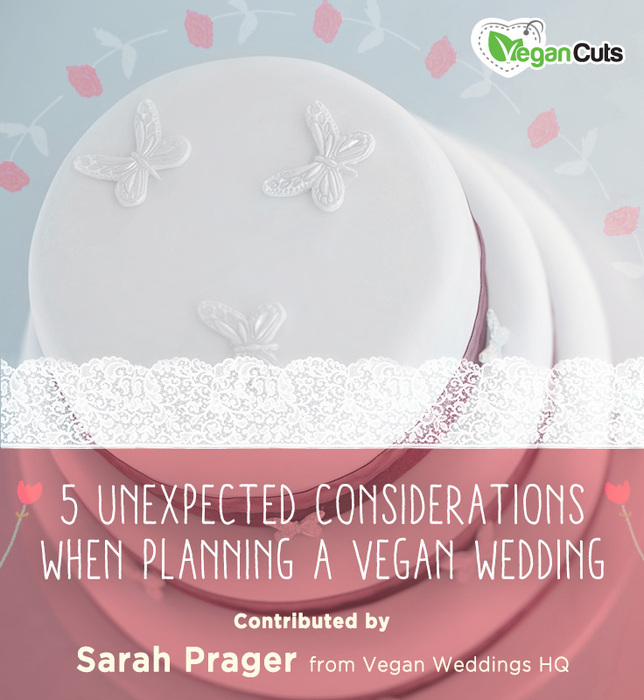 We asked Sarah Prager, co-creator of Vegan Weddings HQ and author of the newly released eBook Borrowed, Blue, and Vegan Too, to offer up some tips when it comes time to start planning your big day. On the heels of the Grammy awards show, everyone’s chattering about the stellar opening performance by Beyoncé and Jay Z. Commentators keep landing on one undeniable aspect of the scene: Beyoncé looks hotter than ever after her December 22-day vegan diet challenge. 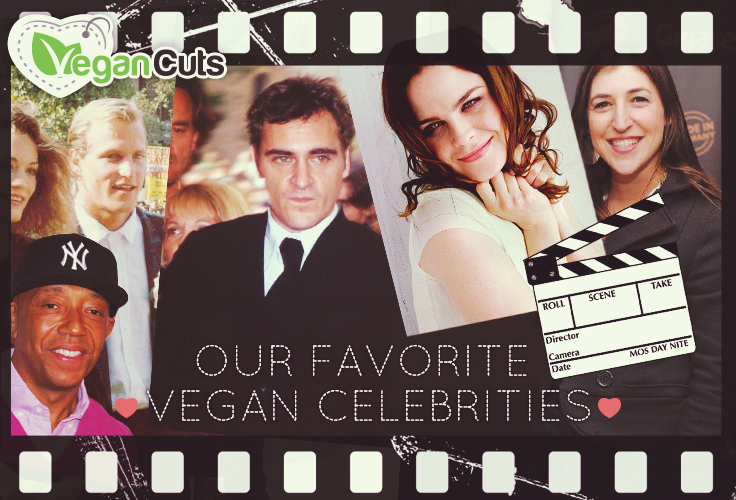 Whether you’ve been vegan for 5 years, 5 weeks, or 5 minutes, you’re bound to find yourself in conversation with someone at some point about which celebrity has recently gone vegan, or stopped being vegan, or has written a vegan cookbook, or had a vegan wedding. Why does it matter to us what the celebs are doing? The Oscars come around but once a year, and if you’re planning to host an Oscars party for the first or the fourteenth time, these tips will ensure that your party is fun, fabulous, and 100% vegan!